FIXED If the current player leaves the game for any reason, the game will skip to the next player (so the game doesn't hang). NEW There is a Help Card included in the box, which has some simplified rules to get new players started. You won't get the help card if you upgrade your game. 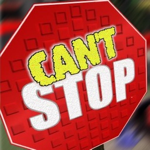 If you want the new card you'll have to get a whole new box, by touching the Can't Stop vendor. NEW There is a new audio and visual indicator on your HUD when it's your turn. FIXED The game would malfunction if you rotated it after rezzing. NEW The game tells you your world ranking when you sit down. Game owners can upgrade by ordering a new copy through their remote control ("/8 deliver game") or by visiting Procyon Games and touching the Can't Stop vendor there. Someone found an exploit in the Take it Easy Solo Challenge. For those of you not familiar with the game, Take it Easy comes in three flavors. 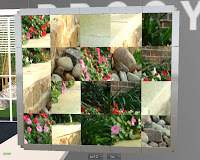 All versions of the game have the players placing tiles on a hex game board, trying to align colors along three separate axes. The Solo Challenge version features a progressive jackpot. You get the same tiles each time you play, but every play costs you $50. The money all goes to a networked jackpot, and the person who first finds the best arrangement of tiles wins the jackpot. Anyone can pick up a Solo version at my store for $10. Rez it on your land and let people play. If someone wins the jackpot while using your machine, you get a cut. If you had a Solo Challenge rezzed on your land, you may notice that it has disappeared. Because of the exploit I've had to do an emergency update. Please come to my store to pick up a new, updated version (or just ask me and I'll give you one). Do you think you're the best Frootcake player in the world? The Frootcake Diner has been accepted into the Winterfest celebration. And we're having a contest to compete for the Golden Frootcake award. The contest is simple. It works like an ordinary Frootcake tournament. All during Winterfest, you can play as many games as you want at the Frootcake Diner. Every game you play will add points to your tournament score. The top scorers are displayed on the leader board at the diner. After Winterfest is over, the top 5 players will compete in one more game for the Golden Frootcake! Special thanks to Valentine Janus who found a critical bug in Frootcake that affected everyone except me, and NonSmokerGirl Tulip who helped test the fix. 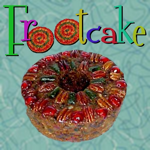 Frootcake 1.13 had a very serious bug that would cause the game to stop spitting out cakes in the middle of a game, and generate script errors for every game after that. All owners should upgrade to 1.14, via the usual methods (you can get a new game with your remote or through a vendor). 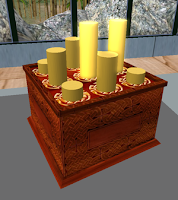 For a limited time, Procyon Games is offering this Puzzle Box as a free gift for the holidays. Simply touch the rods to make them raise and lower. The object is to get all the rods to their top position. It starts out simple, but gets progressively harder. There are seven levels of difficulty. Can you work through them all? The box is available on the Freebies table at Procyon Games. While you're there, be sure to check out the new expansion I've done to the workshop. There's now a Gift Certificate vendor, and a video theater where you can watch all the Procyon Games videos. [Commercial License Only] The payment system has been updated to work more like the other Procyon games. You can toggle Free Play mode off and on, independently of what you have your Min Bet set to. The game will rez in Free Play mode, and will not ask you for Debit Permission until you turn off Free Play. The option to toggle free play is in the menu that pops down when you touch the game. [Commercial License Only] When the game is in Free Play mode it is impossible to pay money into it. I've made a new Help Texture which emphasizes the HUDs and combines the 3 old screens into one. You can rez the included prim, or apply the texture to any of your own items. Touching the jukebox doesn't pop down the menu any more. The cakes now glow to indicate when they will stack. I recommend all existing owners upgrade by getting a complete new box. You can pick up your new Frootcake by touching the vendor at Procyon Games. Are you wondering what to give that special someone in Second Life? Why not give the gift of fun? A game from Procyon will provide hours of entertainment, as well as give you more reasons to spend time together. 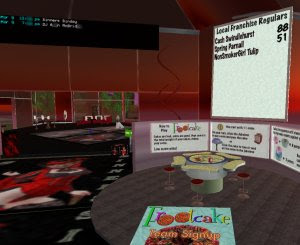 Do you know someone who grumps, "There's nothing to do in Second Life anymore"? Are your friends' inventories full of clothes they never wear? Imagine their surprise when they receive a complex, fully scripted game that will be fun to play with for years to come. All Procyon games are now available as Gift Certificates. The Gift Certificate is transferable; simply give it to your recipient, and when they rez it it will register their license as well as send them a complete package. So which will it be? 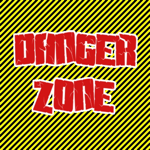 The award-winning Danger Zone? The ever-popular En Garde? Or our latest creation Can't Stop? The Can't Stop Premiere Event was a great success. We had four tables running simultaneously, for two hours. And, it was my first time DJ'ing! Thanks to everyone who said I have a great voice. Everything ran pretty smoothly. The only real glitch was when I forgot to reset all the scoreboards at the same time, so only one board was showing the correct results. But that just gave me more chances to announce the running scores to everyone. It was a very close event, with the lead changing off several times over the course of the event. In the end, our final winners were Aries Oh, Eoland Elvehjem, Ingeborg Apfelbaum, Samantha Poindexter, and Seth Troell. They each won their own Personal copy of the new game. Congratulations! 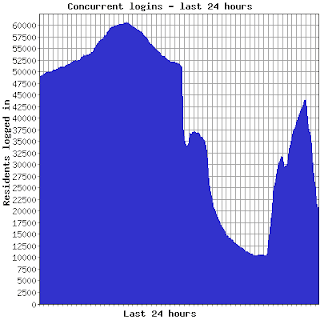 My server crashed around 3:30AM last night, which means games that were played between that time and 7:30AM (PDT) were lost. I've gotten everything back up and running now. The reason it crashed was it simply ran out of memory. I've tried a bunch of optimizations but you people are playing too many games! I've put a request in to my hosting provider to be upgraded to a larger package. I've released a new version of the Deck of Cards, version 1.03. Now included is the game "Crazy Eights." It's the game "Uno" was based off of. Everyone tries to get rid of their cards first by matching suits or ranks. It's fast and simple, and works for 2-5 players. The upgrade is free to existing deck owners. You should have received a notice already (and it will tell you when you rez it). The deck doesn't use the same licensing system I use for my bigger games, so it's not as automatic. If you have any problems IM me and I can send it to you manually. I'm currently in the middle of a server upgrade, so you may see some glitches. I've had some reports of scoreboards going blank; if this happened to you you can force it to reload by clicking on it. The Follow Me HUDs are not working right now, I'm working on getting those back. If you have any other problems (anything saying "Server error, report to Rifkin") please let me know about it. Havok 4 is a new physics engine that Linden Lab is rolling out. Private island owners have the option of requesting an early upgrade to Havok 4. Havok 4 contains several bugs which break En Garde. The En Garde game and its scoreboards will not work in any Havok4-enabled region. If you upgrade your region to Havok 4, any En Garde games rezzed there will stop working. For those who have owned En Garde since the beginning, this is the same "llSetLinkPrimitiveParams" bug that killed En Garde the first time. That is a separate bug in Havok4 servers that is causing the scoreboards to malfunction. 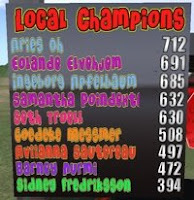 I've changed the World Champion scoring again. Nobody liked the last change very much. The biggest problem was it made it too risky to play new, unranked players. If you lost, you could lose a lot of points. Another problem was, if two players never played each other, there was no good way to determine a ranking between them. The new system is based on the Google PageRank algorithm. Google increases the search placement of pages based on how many other pages link to it, and how high those pages rank. In the new ranking system, you get points for having winning records against other players. Get winning records against lots of other people. This is the number-one thing you can do to improve your score. The system looks at all matches over the last two weeks. You have a winning record against a player if you've won more matches against him than he has against you. Every winning record improves your score. Get winning records against good players. If you have a winning record against someone the system thinks is "good," then you get more points than you would against a poor player. Also, points get divided up. If you're the only person who has a winning record against someone, then you get more points than you would if that player had losing records against many people. Win by big margins. You get more points for big wins that close matches. And there is also an "overall" component to your score, which takes into account your total score over the past two weeks. Don't worry about losing games. You don't lose points when you lose a game -- except if that loss converts a winning record to a losing record against that opponent. The scoring change is retroactive. The scores you see now are the current rankings, using the new system on all games from the past two weeks. This also affects team scoring as well, since team scores are just the sum of all world scores from team members.